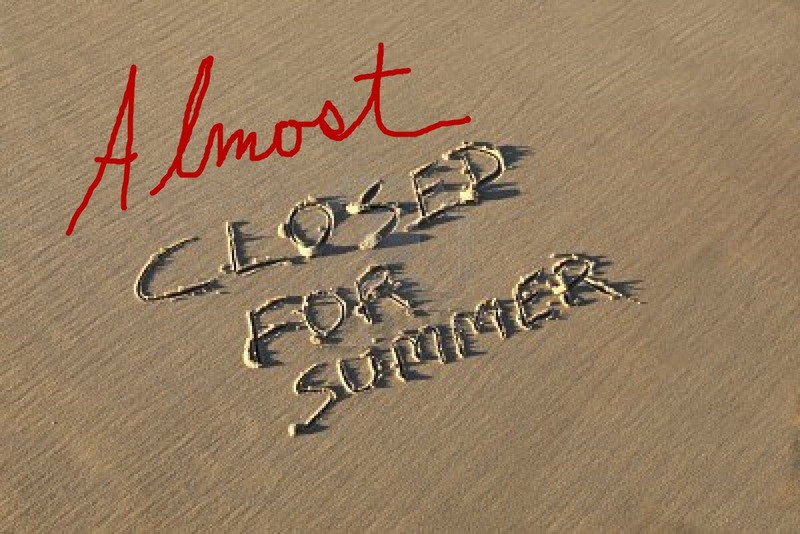 I’m still going through recent queries — I’ve responded to everything before April 21st, and most queries before May 7th — but for those of you that may still be revising, or polishing your material, I wanted to send out an early notice that I will be closing to queries for the summer, from Memorial Day weekend through Labor Day. Any queries that come in during that time will be deleted unread. So just what WILL I be doing this summer? Spending some time reading partials and fulls I’ve already requested, or those that come in between now and the end of the month, as well as client material. I’d also love to get back to blogging more regularly, including reinstating my weekly About My Query posts. I’m also doing a lot of traveling, to BEA, Comic-Con, and Leaky Con, not to mention hoping to find some time with my family. I’ll put up another reminder as we get closer to Memorial Day, but for those of you that are close to ready to query, consider this your two-week warning. I always recommend that you wait to query until your full manuscript is polished and ready. September isn't THAT far away! Can you please clarify those dates for us non-US (other hemisphere) residents? Thank you! Memorial Day is May 28th, and Labor Day is September 3rd.